In corporate America today, US businesses are faced with new challenges like illegal immigration, terrorism, identity fraud and employee liability concerns ranging from past employee criminal convictions to awareness of unacceptable historical behavior that could present itself again at another company or organization, posing safety risks to existing employment environments. With so much focus on security and safety by employers today, the amount of employment related background checks has significantly increased. However, with so many criminal information providers out there and so many different types of criminal searches available, there are a lot of questions and concerns human resource professionals have in regards to best practices for their employment screening procedures and policies. HR (Human Resources) professionals and executives throughout the United States are telling us the confusion and uncertainty they are facing is in regards to employment screening practices. These issues include applicant fraud, the appropriate use of public records like criminal background checks and other issues facing the employment screening market in Corporate America today. This page addresses some of those concerns and exemplifies why using CriminalBackgroundRecords.com to get quality background checks is a sound choice in today’s marketplace, and a partnership you can enjoy and benefit from for years to come. CriminalBackgroundRecords.com has taken a proactive role in order to help keep its members compliant with the Fair Credit Reporting Act (FCRA) and other laws pertaining to employment screening and the proper use of consumer reports like criminal background checks. Although we do not offer legal advice as we are not a law firm; we do value our clients and want them to remain compliant with current laws affecting their business. 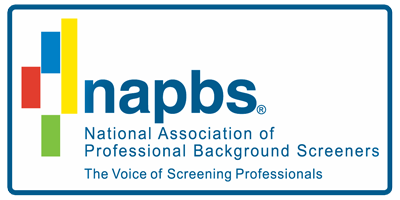 For people using our background checks for employment screening purposes, they will get access to industry necessary forms and other useful documents as a courtesy from us to help them remain compliant with current laws and regulations regarding issues pertaining to hiring, not hiring, promoting, retaining and reassigning potential or active employees. We offer these informational pieces to help promote awareness and due diligence. Account History. We store your order results for 60 days and make them only available to you. This allows you to access and print out previous orders whenever you want to. At CriminalBackgroundRecords.com we understand that pre-employment screening and performing background checks are only a small piece of the responsibility and work load human resources professionals face. This is why we are offering a screening package that helps you stay FCRA compliant and also frees up your valuable time by using our online background checking system. A criminal background check is an important component to a sound employment screening system, but today there is another valuable tool available. This tool is a social security validation & address history trace. This quick search can determine if an SSN (social security number) being used by an applicant is indeed valid, and that your potential hires are in fact who they claim to be. This new tool has been added to the bundled screening packages outlined below that we are able to offer you today. We also offer Employment Verifications and Education Verifications to our monthly billed clients. All the above employment screening packages are available at reduced pricing. Just email bd@CriminalBackgroundRecords.com with your contact details and estimated yearly search volume, and a representative will call you and give you the best available pricing quote. Do all employers need to have applicants or employees sign a release form before performing a background check? YES, and must give disclosure (FCRA - 1681B). If an applicant/employee requests to review a copy of their background record, does the employer need to show or provide a copy of that record to the applicant? NO, under federal law you are not required too, unless there is an adverse action. However, state laws vary; for instance Massachusetts Law gives all employees full access to their files at their place of employment. If an employer takes adverse action on an applicant or employee because of a background check, does the employer need to give notice stating that a background check has adversely affected them? YES, employers must notify the applicant. Are employers required to keep criminal background checks on file? Currently this is up to the judgment of the employer. Knowing that a county criminal search is the most trusted criminal history check available in the USA today, why do employers run instant state or instant national criminal background checks first and not county checks? Coverage - They want a larger area covered to enhance their chances of finding a record if in fact one exists. Speed - A county search can take days to complete and in order to not create a bottleneck in employment processes, the faster searches are preferred. NOTE: The quality of instant criminal background checks has dramatically improved over the years. Statewide & National instant criminal background checks if accessed through a provider like CriminalBackgroundRecords.com are now very reliable. If you are a Human Resource Manager based in the United States or are responsible for your company’s employment screening division and are looking for a partner that can perform the background checks you need and support you the way you deserve to be supported, please contact us immediately and we’ll build a screening package with you that fits in your budget and satisfies your requirements. Just email bd@CriminalBackgroundRecords.com with your contact details and estimated yearly search volume, and a representative will call you within 1-business day to discuss your requirements and budget.